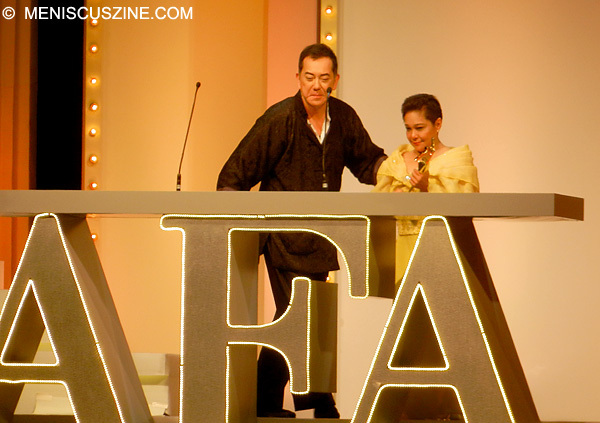 Anthony Wong held the distinction of playing the central role in the opening film of the 37th Hong Kong International Film Festival. Directed by Herman Yau, “Ip Man – The Final Fight” is the third installment in the series that rejuvenated Donnie Yen’s career and sees Wong play an older version of the title character. The night after the world premiere, Wong explained to Meniscus Magazine on the red carpet of the Asian Film Awards that his preparations for the role were far from easy.